BURBANK, Calif. — The Walt Disney Company has been talking about plans to start a Netflix-style streaming service for two years. On Thursday comes the big reveal. D-Day, as some in Hollywood are calling it. 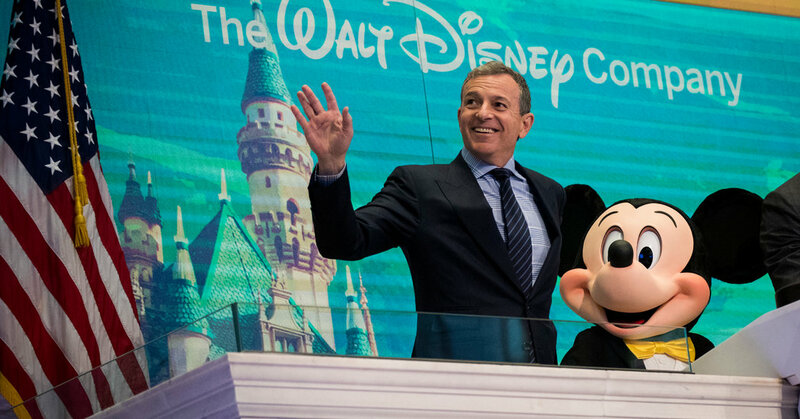 In a lavish presentation on the Disney lot starting at 2 p.m. Pacific time, Robert A. Iger, Disney’s chief executive, is expected to offer long-awaited details about his counterattack on the tech giants that have moved into the entertainment business. The linchpin is Disney Plus, a new subscription video service dedicated to movies and shows from Disney, Pixar, the “Star Wars” franchise, National Geographic and Marvel. When will it arrive? What will Disney charge for access? How much will Disney spend on original programming? What precise menu of shows and films will be available? How many subscribers does Disney expect to attract? What will the Disney Plus interface look like? The answers to those questions and others will come during the event, which is scheduled to stretch three and a half hours and feature presenters like Kathleen Kennedy, president of Lucasfilm, and Kevin Feige, the president of Marvel Studios. It will take place inside Soundstage 2, home to the original “Mickey Mouse Club” in 1955. The moment could amount to a turning point in the streaming wars. For the first time, a traditional media company may demonstrate the firepower needed to compete with Silicon Valley in the fast-growing realm of online video. But Disney’s plans could just as easily fail to impress, along the lines of what happened to Apple last month when it staged a similar event focused on its streaming ambitions. Apple trotted out celebrities but offered few specifics — nothing on pricing, no launch date, barely any footage. Disney will stream the event live on its corporate website. While the target audience is Wall Street — analysts were invited to attend in person — the presentation is also intended to appeal to potential Disney Plus subscribers. Disney is also expected to discuss its broader streaming business, which includes Hulu, ESPN Plus and Hotstar in India. At least nine new movies are in production or advanced development for Disney Plus, with budgets ranging from $20 million to $60 million. Disney is remaking two musicals from its animation library as live-action films: “Lady and the Tramp” (1955) and “The Sword in the Stone” (1963). Other new films include “Togo,” a period adventure about a sled dog, and “Noelle,” starring Anna Kendrick as Santa’s daughter. Roughly 400 films from Disney’s library and at least 5,000 episodes of old Disney-branded television shows like “Hannah Montana” and “Lizzie McGuire” will anchor Disney Plus.